– Never pay for another Christmas letter from Santa! 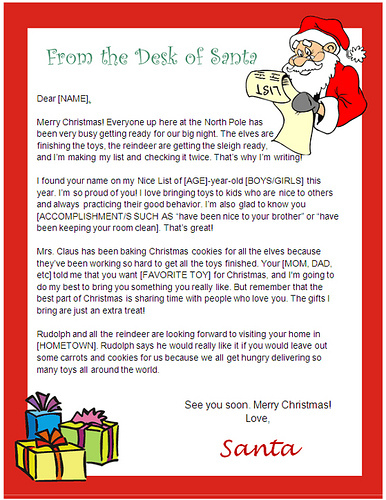 When you purchase a Santa letter template, you’ll get a Microsoft Word document that you can use over and over. It’s yours to keep for your personal, noncommercial use. (Not for resale.) You’ll also get two printable envelope designs and the text for three alternate letters, so you can create printable Santa letters every year and never pay another cent! And with prices starting at $3.99, you’ll pay less for one of our reusable documents than some companies charge for a single letter. – No waiting! 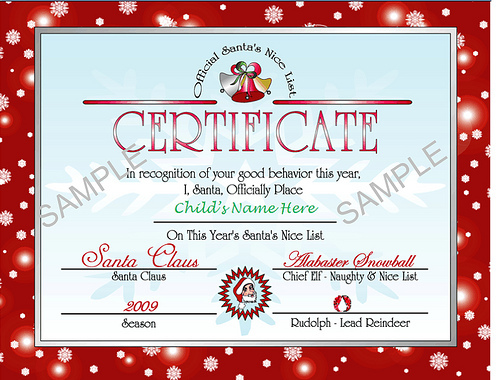 You’ll get an email containing a link to your documents as soon as your payment is processed, and you can start personalizing your kids’ Santa letter or Nice List certificate immediately. So even if Santa forgets to write his letter until Christmas Day, he won’t ever disappoint his young admirers! Click an image below to get started. – Includes envelopes and alternate text! 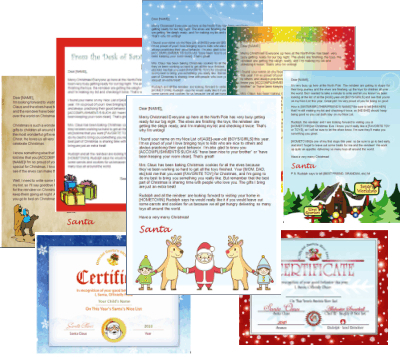 Each Santa letter template comes with one customizable Microsoft Word letter from Santa Claus, as well as two envelope designs and three alternate texts that you can copy and paste into the document. So you can use your template for multiple children or multiple years without duplication. It’s fun and easy to create your own letters at home! 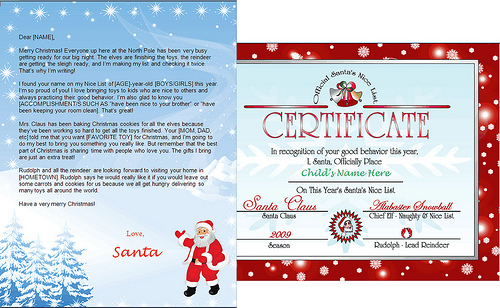 All you need to do is replace the sample text in our Santa letter templates. The documents are created in Microsoft Word format, so editing is simple, and you can use one letter again and again for all the children in your family. 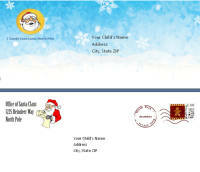 Surprise a child today with a Christmas letter from Santa Claus!